When something goes wrong in your home, you want to work with an expert for a safe and effective solution. Finding the right tradesman for the job can be difficult if you don’t know what to ask. In the case of a residential electrician, you want someone who’s highly qualified, offers great customer service, and has a wide depth of talents. One of the most important factors in finding a residential electrician is to make sure they have the right credentials to do the work. In Arizona, you can ask for their Registrar of Contractors (ROC) number. Entering this information into the ROC website gives you access to their license and bond information as well as any complaints filed with the ROC. Choosing a residential electrician with a variety of skills and qualifications is essential. Many people save up a list of small jobs that an electrician can tackle in one visit. It would be incredibly frustrating if they showed up and weren’t equipped to complete half the items on your list. Turn It On Electric is a one-stop shop for your electrical service in the Phoenix area. Our technicians have over 145 years of combined experience in the electrical field and no job is too small or too big. This allows them to efficiently troubleshoot any issue you throw their way. Before you choose your electrician make sure they offer the quality of service you expect for your project. What work did the electrician complete? Were they able to finish the work in one visit? Did they show up on time, as originally scheduled? Did they offer a fair price? How did it compare to other quotes? Was there any pressure for an upsell during the estimate or service? Would you use them in the future? 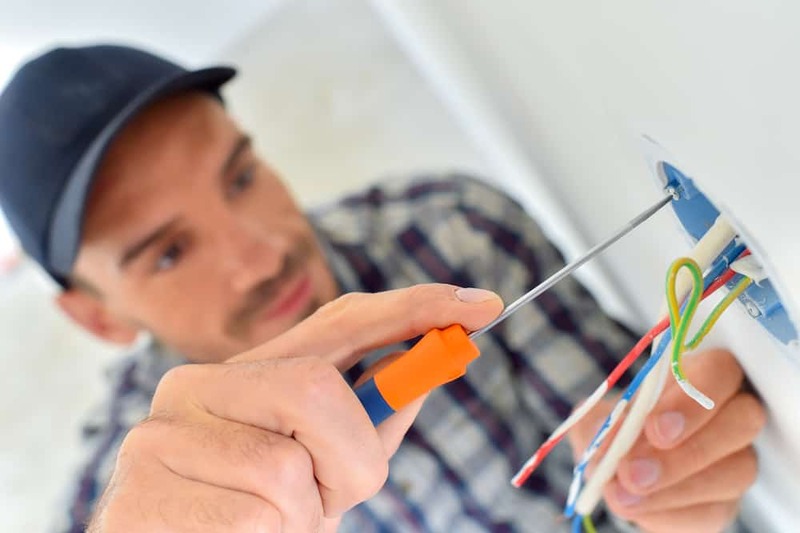 It may not seem like a big deal at first thought; however, effective communication is extremely important when dealing with a residential electrician. From conveying your electrical issues to reviewing an estimate or invoice, your electrician needs to be able to communicate with you in a way that’s clear and easy to understand. You want to make sure that your residential electrician listens to what you want and need. When a Turn It On electrician shows up at your home, you can expect to see someone in uniform getting out of a company truck. The friendly technicians strive to put a smile on your face during each interaction. When you have an electrical problem, you want someone who will show up on time with the right tools and the right attitude to get the job done well. Before you sign a contract or agree to move forward with the work, make sure you understand everything in your documents. If something isn’t clear, ask questions and have your electrician update the paperwork. If you want a residential electrician who’s highly qualified, offers excellent service, and has extensive experience, contact Turn It On Electric to schedule an appointment today.